During summer i’ve noticed the insane amounts of arm party posts on many blogs and instagram accounts i’m following. Of course i became a huge fan of this popular trend but at a certain point i was craving for something new and i thought if my arm can have a party i guess my neck can follow up. 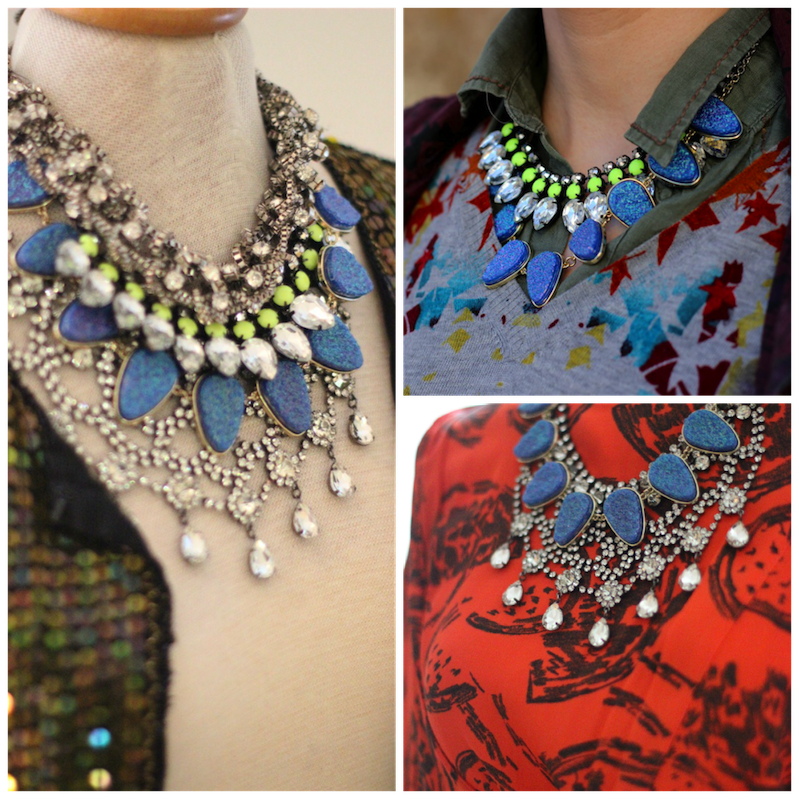 Statement necklaces are still one of my favourite accessoires so i first layered a couple of my favourite necklaces with different colors, textures and lenghts and placed them around the neck of my dress form to create different looks. 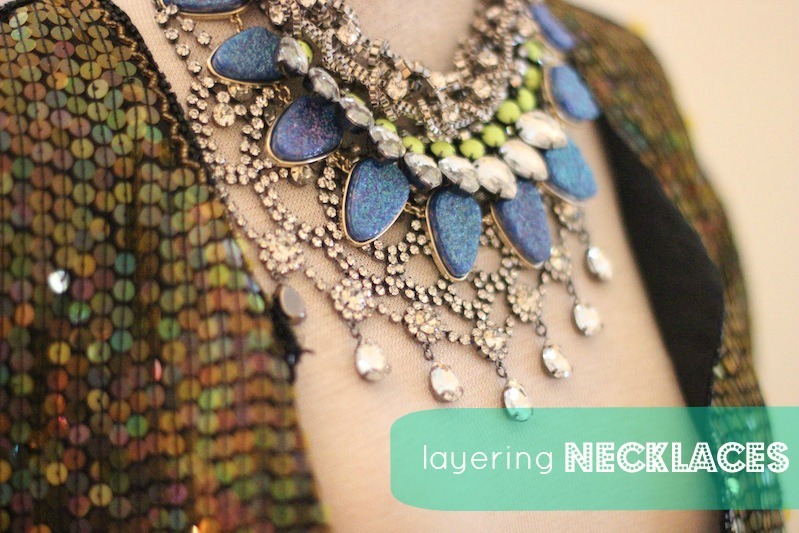 When it comes to layering necklaces i really don’t follow a rule but i try to use different lengths with diverse shapes to keep the chains from clumping and tangling.Usually i wear big chunky pieces but during the day i would prefer the thin and delicate ones which looks great on basic tops or simple dresses. For those of you who like to experiment with mulit-accessory looks i think this would be a lot of fun. So what about you? What about your personal preferences when it comes to jewellery? sieht sehr schön aus! ich liebe deinen blog! Sieht Hammer aus!! Von wo ist denn die Kette mit den blauen Steinen? Die ist total hübsch. Whenever I try to do this, it looks like a child playing dress up. I wish I had your amazing sense of fashion!